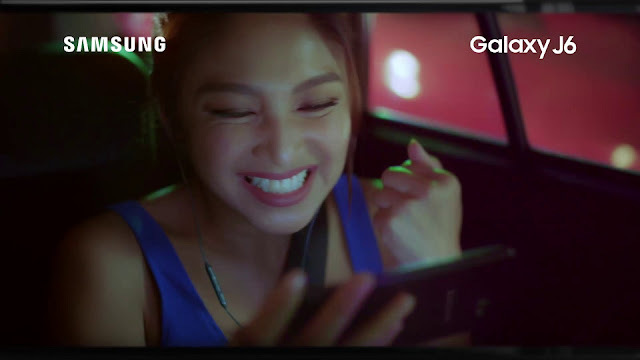 Did you know that Nadine Lustre is a movie buff and finds time to watch her favorite movies on the go? Check out what's on her Top 6 Movie/TV Screen Favorites! Given superstar and multi-hyphenate Nadine Lustre’s back to back taping days and projects, she is often running from one engagement to the other. Because of all her activities, she highly values her down time— time that she can spend staying in and bingeing on movies on her Samsung Galaxy J6. The actress has a wide range of tastes in terms of genres, from musicals and romantic dramas to horror and the classics. Here are six of her favorites. The Galaxy J6 is available in all Samsung authorized stores nationwide. In celebration of Samsung’s 20th anniversary in the Philippines, the Galaxy J6 is now available at a special price of PHP 9,990. For more information, log on to samsung.com.ph/, or visit facebook.com/samsungph.